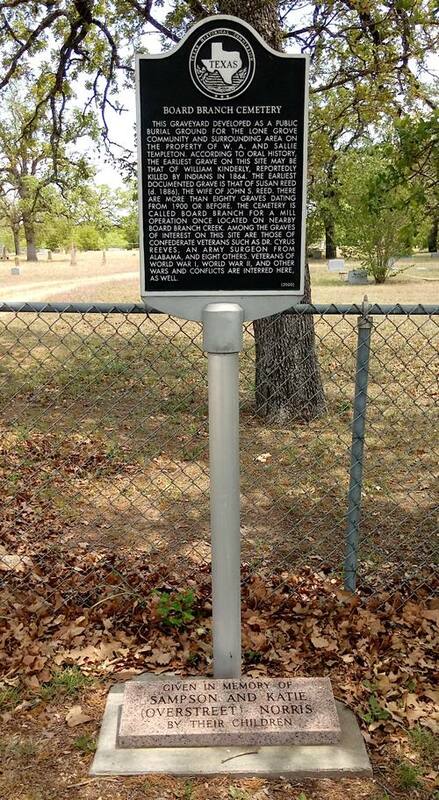 Lone Grove, TX history, school, cemetery, photos, historical markers. 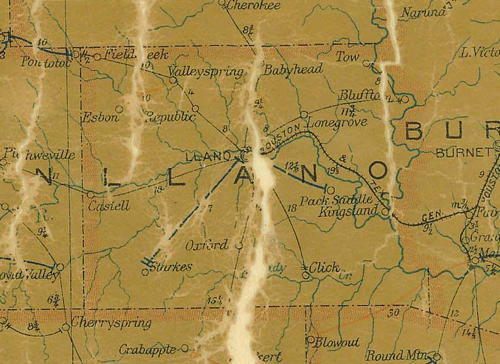 Originally on a stage line connecting Llano and Burnet, Lone Grove formed on the west bank of the Little Llano River and was named for a grove of trees there. At some point it shifted its location to the east bank. 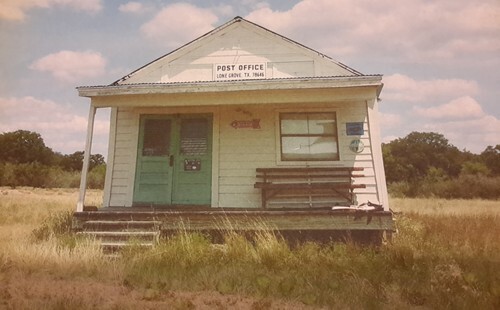 A post office opened in 1876. For more information, see photos, school and cemetery historical markers below. Lone Grove School old photo on display. Note that there were add-ons to the building that have since been taken away. 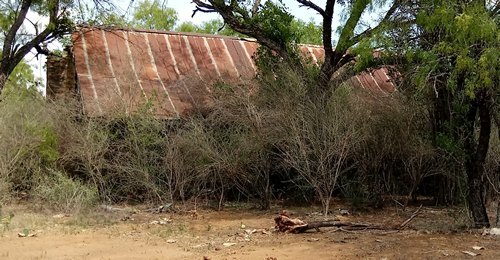 Among the rural schools in early Llano County were Lone Grove, Flat Rock, Little Llano, McNutt and Spice Wood. 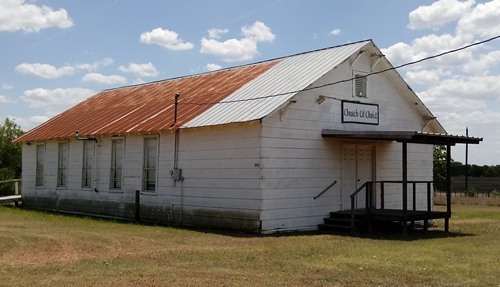 These rural schools also served their communities as gathering places. 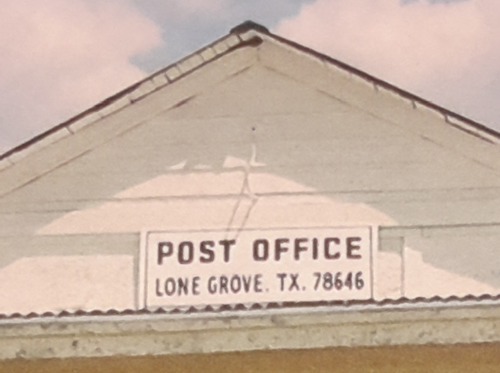 Located on a major route between Llano and Burnet, Lone Grove grew, and when officials divided the county into districts in 1884, it became district number two. 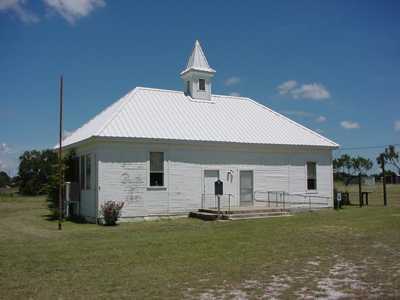 This schoolhouse dates to 1910, on a site donated by D.P. Speck and J.L. Templeton. 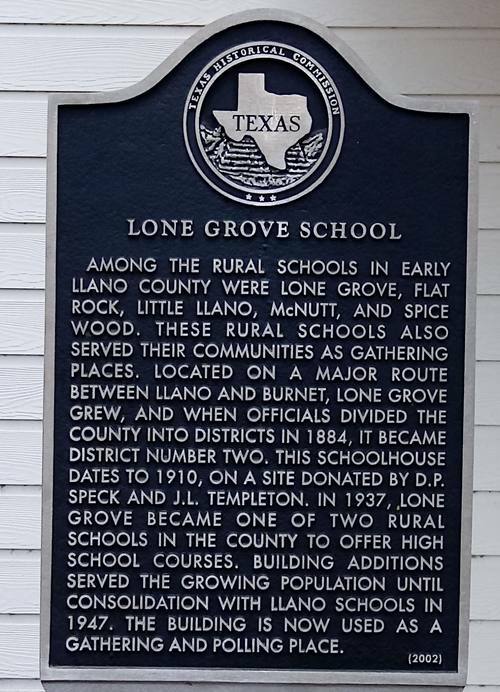 In 1937, Lone Grove became one of two rural schools in the county to offer high school courses. 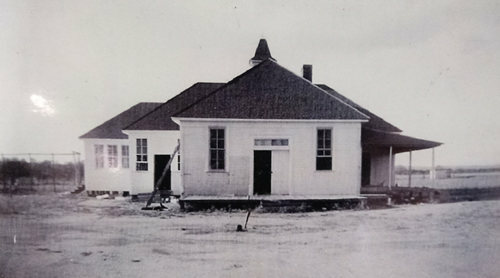 Building additions served the growing population until consolidation with Llano schools in 1947. 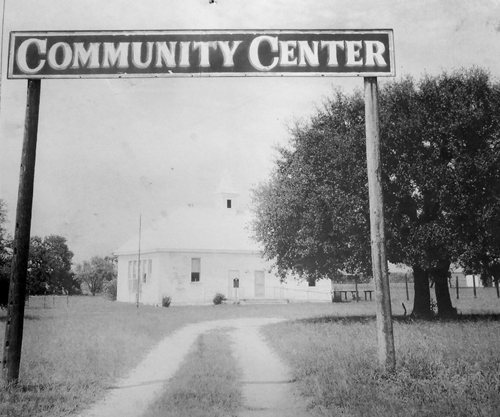 The building is now used as a gathering and polling place. 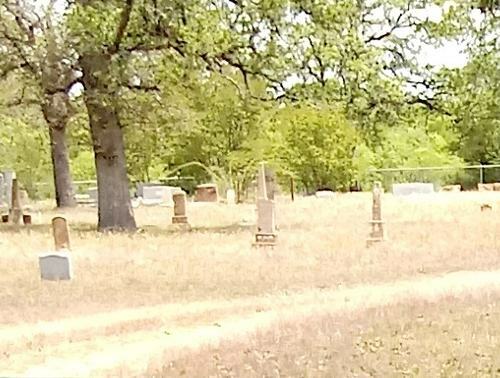 This graveyard developed as a public burial ground for the Lone Grove community and surrounding area on the property of W. A. and Sallie Templeton. According to oral history, the earliest grave on this site may be that of William Kinderly, reportedly killed by Indians in 1864. The earliest documented grave is that of Susan Reed (d. 1886), the wife of John S. Reed. There are more than eighty graves dating from 1900 or before. The cemetery is called Board Branch for a mill operation once located on nearby Board Branch Creek. 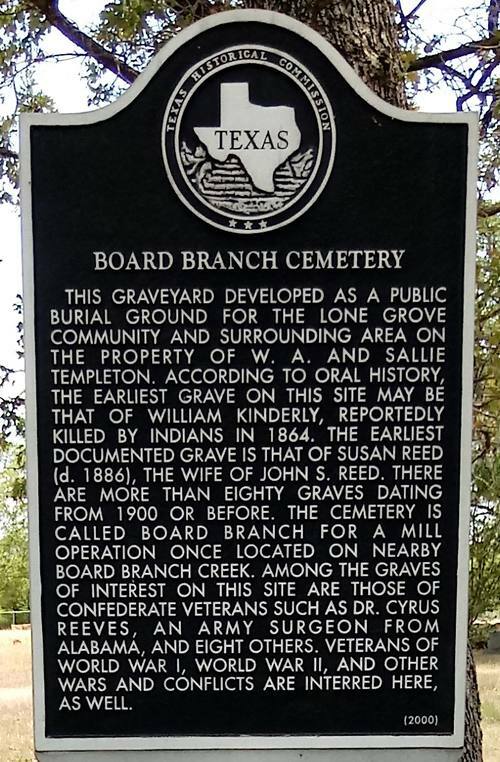 Among the graves of interest on this site are those of Confederate veterans such as Dr. Cyrus Reeves, an Army surgeon from Alabama, and eight others. Veterans of World War I, World War II, and other wars and conflicts are interred here, as well.